Placing commitment and wellbeing above all else, our team ensure that you or your loved ones are cared for. From in-home care to meal preparation, we provide a range of services. All our staff are trained to our high-standards, and they go through a rigorous process to ensure that they provide the care you deserve. A service with a smile is guaranteed. Your needs come first, and our team ensure that each service is tailored to you. Committed, dedicated, and eager to help, we answer any questions that you have. Our team understands that the cost of care can be unnerving, which is why we provide financial advice when you need it. There’s a range of payment options for you to choose from. Receive the support that you or your loved ones need with the help of our domiciliary care team. Based in Nottingham, our nursing agency services clients throughout England. Our team of first-class carers provide a personal touch, ensuring that each service is tailored to your needs. Kind, passionate, and caring, we provide high-quality options at cost-effective prices. Your happiness and satisfaction is our success, and we always place care before profit. With more than 20 years of experience, nothing is too much trouble for our team. Our accreditation with the Care Quality Commission proves that we are dedicated to our services. Do you want to make a positive contribution in local community? 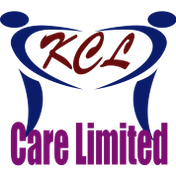 A job at KCL Care Limited may be perfect for you. We recruit experienced and inexperienced carers as well as catering and cleaning staff. It’s the perfect opportunity to develop your career towards social work and the humanities. CONTACT our nursing agency, in England, for further details on our domiciliary care services.